Greetings of the morning (greetings) to all my respected venerable teachers, parents and dear friends. Today we have gathered here to celebrate this great national occasion. I warmly greet you all with the Independence Day. As we know that Independence Day is a great opportunity for all of us. We all celebrate this day because our country was liberated on August 15, 1947, and we got salvation from the British rule. Today we have gathered here to celebrate 70th Independence Day. Today is a very important day for all Indian citizens. And it has been mentioned in history forever. Pandit Jawaharlal Nehru delivered the speech on the occasion of Independence Day in New Delhi. When people from all over the world were asleep, people were struggling in India to get life and freedom from British rule. Now, after independence, India is the largest democratic country in the world. Our country is famous for its unity in diversity. Indian people are always ready to answer their unity. With great happiness our Independence Day is celebrated throughout the country. This is a very important day for all Indians because this day gives us the opportunity to remember those great freedom fighters who sacrificed their lives to give us a peaceful and beautiful life. Before independence, people were not allowed to read, write, eat, and live a normal life like us. To compensate for their meaningless orders, the British were treated worse than the slaves with Indians. To remember the first day of India's independence, we celebrate Independence Day on August 15 every year as well as remember all those great people. Because of the difficult struggles we have been able to enjoy our freedom and can breathe in open air with our own will. Getting independence from the British was an impossible task for our ancestors, but our ancestors persevered by trying it out. We can never forget their work and will always remember them. We can not remember the works of all the freedom fighters in just one day but can give them salute with heart. He will always be in our memories and will work for inspiration for the whole life. Today is a very important day for all Indians, whom we celebrate to remember the sacrifices of great Indian leaders, who gave their lives for the country's freedom and prosperity. 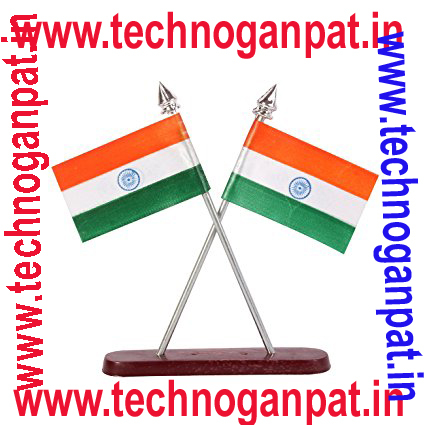 Independence of India could be possible because cooperation, sacrifice and participation of all Indians was possible. We should give importance and salute to all those Indian citizens because they were the real national heroes. Some of the great freedom fighters of India include Bal Gangadhar Tilak, Mahatma Gandhi ji, Netaji Subhash Chandra Bose, Jawaharlal Nehru, Khudiram Bose, Chandrashekhar Azad, Bhagat Singh, Lala Lajpat Rai etc. These were all famous patriots who fought hard for the freedom of India till the end of their lives. We can not even imagine those horrific moments of struggle done by our ancestors.Even after so many years of independence, our country is on the right track of development. Today our country is well established in the whole world as a democratic country. Mahatma Gandhi was a great leader who told us about the effective methods of freedom like non-violence and satyagraha. Gandhiji had seen only the dream of independent India with nonviolence and peace.India is our homeland and we are independent citizens of independent India. We should always protect our country from bad people. It is our responsibility to take our country forward and make it the best country in the world. All of you wish a lot of good luck on Independence Day, hope that our country continues to grow in every sphere every year so that the whole world is proud of us one day. How To Download Whatsapp Status Without Any Apps| Save Whatsapp Status Video in Galary - New!